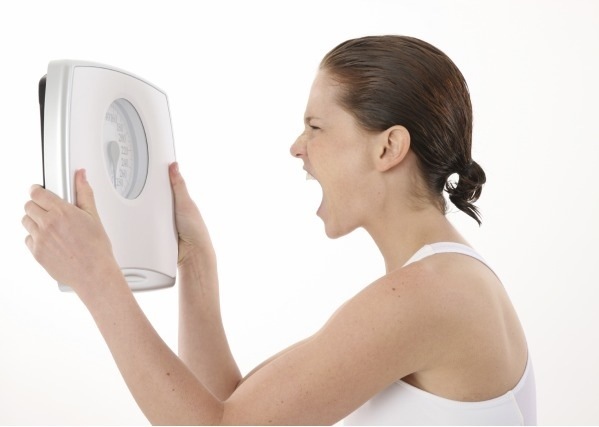 Why Your Scales Lie ! You might think that is an obvious statement, but if it were, there wouldn’t be so many people wondering why they’re working out but gaining weight. This water weight is good weight. It is fuel within the muscles for high-intensity exercise. It is going to make your muscles look full, and keep the cells hydrated so they can do their job efficiently. It is so important that you get over the idea of weight during your weight loss program. You’d be better off calling it a fat loss program. That’s what you’re trying to do anyways, isn’t it? Weight fluctuates drastically even during a small window of time. Fat loss is a much more stable process. This entry was posted in Fat Loss and tagged Fat loss, hydration, scale weight, water weight, weight loss. Bookmark the permalink. ← Soy Milk Is It A Good Choice?